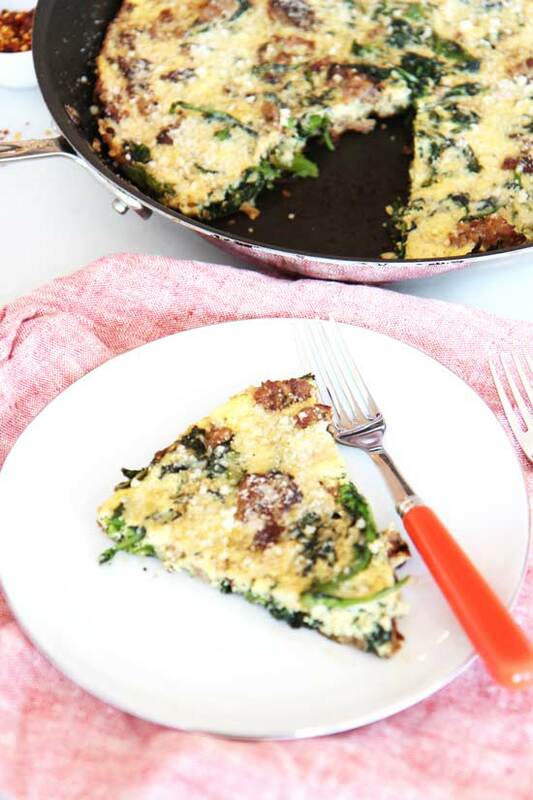 I take a bite of the fluffy buttery egg and then reach the sweet sausage and the glorious green broccoli rabe and frittata love begins. This is a one pan, you rock, and sizzle recipe. 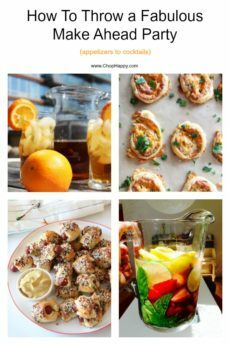 It is the perfect quick weeknight meal, brunch, or breakfast for dinner. 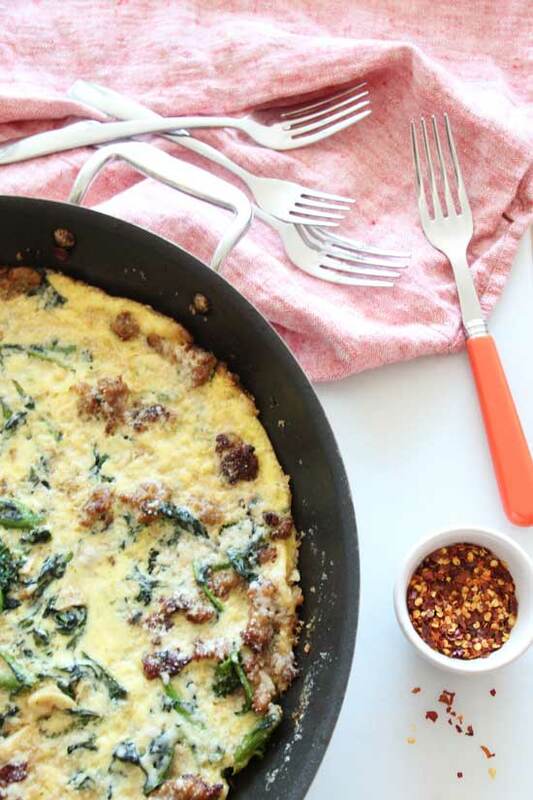 Sending you tasty frittata vibes for happy cooking through this recipe. You work so hard and a deserve life to be simple. 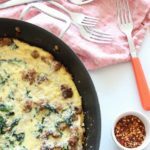 This frittata is a simple recipe and decadent to celebrate you! As you eat, you can zen out and appreciate all your blessings! This is my first frittata recipe on the blog. I dont know what I was waiting for! Frittata’s are such an easy, no brainier dinner idea. Living in NYC I have very little room in the kitchen and this is perfect because everything goes in one pan. This makes life so much easier. 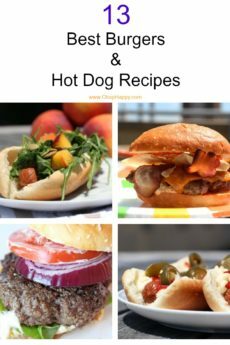 I can’t wait for you to try this recipe!!! Cheers to comfort food love on a plate. Happy Cooking! First, in one bowl mix eggs, cream, salt, pepper, and Parmesan cheese. Set aside. Next, in a large pan (oven safe) on medium high heat place 2 tablespoons of extra virgin olive oil, butter, and add the sausage. Now, break up sausage and spread all over the pan. Let it cook without touching for 2 minutes. Now, mix sausage and cook for another 2 minutes then push to the side of the pan. Next, add the broccoli rabe, garlic, red pepper flakes, a pinch of salt and pepper. Cook for 3 minutes stiring occasionally. Now, mix all the sausage and broccoli rabe together and spread evenly in the pan. Turn down heat to medium low and pour the egg mixture into the pan. Do not mix and let the egg set for a minute. Next, place pan in the oven for 20 minutes. Finally, gently slide the frittata on a cutting board and slice and enjoy.